Materials & Techniques That Are Healthier for You and Your Family. Dr. G, as a biologic dentist (or holistic dentist), uses complimentary treatments alongside standard dental treatments. He does this by using techniques learned during additional and continuing education in the various fields of holistic dentistry. A biologic dentist uses materials and techniques that are safe and friendly to the body, and promote your overall health. He cares about the health of the whole body. Biologic dentistry could be seen as a more natural approach using much less chemicals and dental techniques or remedies that are safer or healthier. Our practice performs conventional dental treatments, fillings, crowns, etc., BUT we use safer materials and treatments that help the whole body. Dental techniques that many take for granted can actually cause harm to a person’s health, such as amalgam fillings (which contain mercury), many common dental anesthetics and the use of fluoride. Additionally, we use certain alternative treatments and remedies that not only are healthier for the body, but also promote faster and more complete healing and less pain. To learn more, continue reading below. We Are a Mercury-safe Practice! Silver amalgam fillings contain a large amount of mercury. 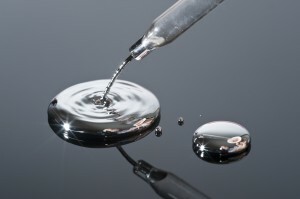 Mercury is one of the most toxic elements and is extremely dangerous to your health. It has been proven that these so called “silver fillings” release small amounts of mercury vapor into your body on a regular basis. You can see this on the videos on our Mercury-Safe Dentistry page. All our fillings are made from composite resins that are BPA-free or porcelain and are bio-compatible. These are white and not only are they safer but much more attractive. And these days a properly made white filling can last a long time. We have picked top quality composite filling materials which have been thouroughly researched by Dr G as safe. We are very experienced with amalgam removal according to the IAOMT protocol. We specialize in safe amalgam removal using high-efficiency suction and a special clean up tip to capture harmful mercury vapors that are released while your old amalgam fillings are removed. Many of our patients have experienced positive changes as a result of removing their amalgam fillings, such as less headaches and migraines. You can read more about this on our amalgam removal page. We do not use fluoride in our practice as we don’t feel that its very limited benefits outweigh its much greater liabilities. We believe that prevention, good brushing, good nutrition and regular checkups are the best way to ensure that your child doesn’t get too many cavities. We use a natural herbal non-fluoride paste after the regular thorough cleaning in order to condition the gums and teeth. This paste has been shown to help reduce gum problems. For more information, go to our Fluoride webpage. We use tried and tested treatments that result in faster healing, less after-pain and less need to prescribe antibiotics and painkillers. Dr. G has a large variety of products and techniques available to best help the patient including the famed Chao Pinhole Technique and the LANAP Procedure – both amazing breakthroughs in periodontal treatments. His aim is to effectively handle your mouth without affecting your overall health. It is well known that antibiotics when overused can cause many health problems, so we avoid their use wherever possible. Over the years Dr. G has seen excellent results from these treatments and products. We use alternatives that have no side effects. For example, in our holistic teeth cleaning procedure we use distilled Ozonated water that is made fresh daily in our office, a herbal solution of 14 herbs to fully irrigate around the gum pockets and polishing materials without any flavorings, dyes or chemicals. We use homeopathic remedies that are specifically for dental treatments and lessen bruising and other problems common in dentistry, and low-radiation X-ray to make sure your body is not harmed. Dental offices have been collectively identified as the major source of mercury pollution in wastewater. This is why we were the first in the state of NJ to install an amalgam separator to prevent mercury from entering our waste water way before it was mandated by the state. By using less chemicals and drugs we are protecting our water systems. We also use environmentally friendly products for cleaning our practice. One of the fastest ways to absorb anything into the body is through the mouth. Most toothpastes contain chemical sweeteners, fluoride and foaming agents that are toxic. Thus we recommend toothpastes made with natural ingredients and without fluoride and foaming agents. Mouth washes also contain chemicals but there are natural alternatives. Supplements can help the body fight infection and help to strengthen teeth and improve the condition of your gums. You can ask Dr. G what he recommends or we can tell you how to make your own!